In the vast wilderness of Lower Louisiana, claimed by France, the Roman Catholic religion was first practiced in a colonial settlement on Biloxi Bay, which later became Saint Alphonsus Parish. Here in 1699, according to the journal of the Iberville expedition, daily Mass was offered, and the sacraments were administered for several years to French-Canadian explorers, preparing to establish colonies at Mobile, New Orleans and Natchez. When this was accomplished, Biloxi Bay returned to the wilderness, and French settlers who remained, reverted to a primitive existence for a hundred years, much like that of the native Indians. Because of distance and travel difficulty, they were served only occasionally by missioners from Mobile and New Orleans. Marriages and births were recorded, but it is doubtful that there were any sacraments for the dying or liturgy for the dead. When paddlewheel steamboats came out of New Orleans in the 1820 s, Coast towns began to develop Bay St. Louis, Pass Christian, Mississippi City, Biloxi, Ocean Springs and Pascagoula. As they grew, parishes were established and pastors appointed by the Bishops at Natchez. The village of Ocean Springs, where the Holy Mass was first offered, now depended on occasional visits by neighboring priests. In 1857 Father Grignon who is on vacation at Pass Christian, writes to Bishop Elder: "I am going today to Ocean Springs, a place I am told which has not been visited since last year. I shall stay there only a few days." Later he wrote to the Bishop: "I said Mass twice at Ocean Springs. There were seven persons at Holy Communion. Some four or five men came to confession, but were not fasting. I baptised two children: It is a pity to see those Catholics so neglected by want of a priest. A small church is greatly wanted, as some queer Catholics will not go to Mass at their neighbor's homes in consequence of some personal dislike. People are poor, but with the assistance of friends and the exertion of a zealous priest, a church could be easily built." Shortly after, the Bishop urged Father Pont, pastor at East Pascagoula to take on Ocean Springs as a mission, and he quoted Father Georget of Biloxi as saying: " ... there are about one hundred Catholics there and they are willing to give work and money too." Father Pont was perhaps either unwilling or unable, and it was really Father Georget of Biloxi who got things going at Ocean Springs. 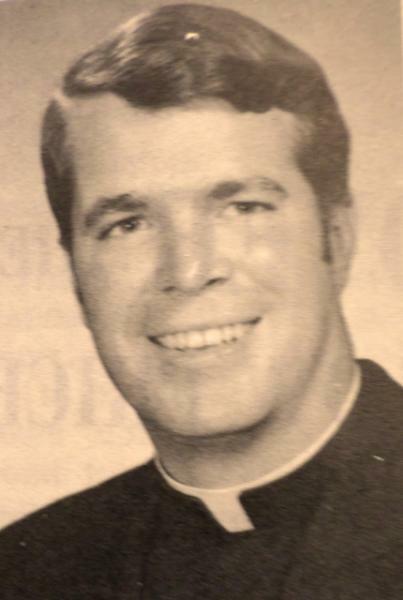 In a letter to Father Holton of Pass Christian Bishop Elder said: "I have just now written to Father Georget, putting Ocean Springs under his immediate care. I will be thankful to you if you will give them an English sermon whenever you can." This suggests that most of the early Catholics on Biloxi Bay still used colonial French. In 1859, two years before the Civil War, Bishop Elder of Natchez reported: "Father Georget has bought the lumber for the church at Ocean Springs. It is to measure 50 ft. x 25 ft. very plain." In this same year Joseph Bellande (1817-1904) and his wife Rosaline LaFauce Bellande (1825-1895) made a warranty deed to Bishop William H. Elder for a lot on the South side of Porter St. West of Dewey, measuring 192 feet by 100 feet deep, for $100. This lot is now occupied by the City Hall. Further correspondence indicated that Father Georget continued to serve this church as a visiting priest. Before the Porter Street church was built, the visiting priests would say Mass in the home of Mrs. Sophia Hubbard, which is still standing at 509 Washington Avenue. During the Civil War, the village of Ocean Springs came under Federal blockade. Simple things like coffee, tobacco, gingham and pepper were sorely missed. With the need for chaplains in the Confederate Army, it is doubtful that regular Sunday Mass was said at the Porter Street church. In March of 1871, writing to F.W. IIling, proprietor of the IIling House at Ocean Springs, Bishop Elder says: "It pleases me very much to learn that you find yourselves numerous enough to need the services of a resident priest. It will require some little time to consider whether I can make arrangements to comply with your request just now, because the number of our priests is not large. I will proceed at once to inquire about it." In August 1871, Father J.T. Finn was named the first resident priest at Ocean Springs and its missions, but with a damaged church and no rectory. In the next year he reported buying a lot for a new church, but does not describe it. It was purchased from Mrs. Shannon for $300 and was probably the lot on Jackson, north of Calhoun. Without further reference to Father Finn, the record indicated that the parish is again without a priest in November of 1872. In August 1873, Father Chevalier of Biloxi appears on the local scene and the new church building project moves ahead. 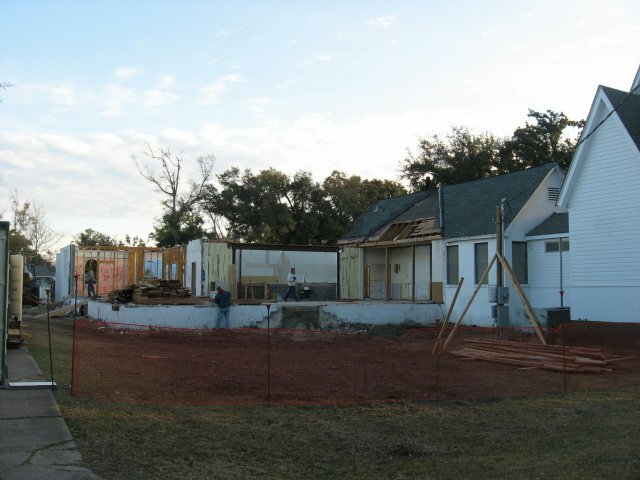 By October he has sold the old church for about $300 and is ready to start building the new church on Jackson Ave. February 25, 1874 Father Chevalier, writing to Bishop Elder, says that the new church at Ocean Springs was dedicated last Sunday. All the priests of the Coast were present. The sermon was preached by Father Wise. The church at Ocean Springs has cost over $1,500. Just one month and twelve days later, Father Chevalier reported on April 9th, that he has finished paying the debt on the church, and said with obvious pride: "There is some change in that place now. Many, and especially young men, who never were seen at Mass, come now regularly. I have been preaching there every Sunday night and some good has been done. Rev. Father Oberti (the new pastor) seems to be pleased to be there. I am very much pleased with him. He was, I think, the man we needed." But something went wrong, because in less than four months, on August 29, 1874 he returned to Ocean Springs to introduce a new pastor, Father Meerschaert who remained until 1881, at which time the parish was again without a pastor. In the summer of 1878 there was a yellow fever epidemic at Ocean Springs, and Father Charles Louis Van Queckelberge (1835-1878) again came to the assistance of the people. He administered heroically to the sick and assisted at burials until he himself was a victim. He died at the Shanahan Hotel on September 10, 1878 and his body was interred in the St. Alphonsus Cemetery. From 1883 to 1885 Father Peters was the pastor, at which time the St. Alphonsus Cemetery on Fort Bayou was established. Bishop Jannsens paid Eliza Ames $25 for a lot 190 ft. x 140 ft. lying South of a public burial ground which later became the City Cemetery. (JXCO, Ms. Land Deed Bk. This cemetery lot became known as the St. Alphonsus Cemetery or "Catholic Cemetery", and became the site for many Catholic burials at Ocean Springs. Eliza Ames who sold the land to the Catholic Church was the daughter of John Ames (1797-1852+) and Helen or Ellen Ames (1814-1874), both Irish immigrants. John Ames received a patent from the US Government on 120 acres of land in the SE/4 of Section 19 T7S-R8W in 1847 and 1848. Here the Ames homesteaded and reared four children: Thomas Ames (1843- 1906)), Elizabeth Ames (1845-1917), William Ames (1848-1922), and Jeremiah Ames (1852-pre 1922). The Church cemetery was later enlarged and over the years it has provided moderately priced burial lots to parishioners and to the public, regardless of creed. These two cemeteries together on a beautiful bayou knoll are now generally known as Evergreen Cemetery. F. Charles Bohmert (1847-1890) was born in Alsace, France in 1841. He took his own life at Ocean Springs on June 24, 1890 with a revolver. His corporal remains were interred in the Evergreen Cemetery on Old Fort Bayou. Father Oberfield, after serving as pastor for one year, was succeeded in 1887 by Father F.C. Bohmert, at which time the Parish was first served by the Marianite Sisters of the Holy Cross. In a two-room white-washed building on Calhoun St., where the rectory now stands, St. Alphonsus school was first opened on October 17, 1887 with 32 pupils present; the boys in one room and the girls in the other. Those in charge of the school and the convent on the beach at the foot of Jackson Ave. were Sister Patrick, Sister Anthony, Sister Cesaria, and Mother Magdalen. About 1900 this school was moved to a converted residence on Jackson Avenue located at the north end of the present school building. This house had been the rectory for many years, and it was here that Father Bohmert died violently and mysteriously in 1890. Although the records are incomplete, it can be estimated that the three-room St. Alphonsus School on Jackson Avenue was discontinued about 1905. After a vacancy of more than a year, Father Aloise Van Waesberge was the pastor from 1892 to 1896. Because of the continued growth of the town and parish, he enlarged the church building by extending it to the East. From 1897 to 1903 the parish was served by Father H. Mortier, a Frenchman who is affectionately remembered as Father Henry. He lived simply and close to his people. He never owned a horse or buggy and was often seen walking for miles on his pastoral visitations. He was always received as a member of the family and stayed on at least for the next meal, and often was urged to spend the night. On one occasion a good bed was' prepared for him, but in the morning the bed was found unruffled. Father Henry had slept on the floor, possibly as a penance for having enjoyed a good supper of fried oysters and gallets. The next pastor was Father Peter de Gruyter, a Belgian who brought with him old-world pastoral ideas which were not acceptable on the Mississippi frontier. He was removed in 1914 under unpleasant circumstances. A parishioner who visited years later in California reported that he had been successful as a philatelist, which may explain why he had not been successful a pastor. Just to add to the international flavor of St. Alphonsus, the administrator who succeeded the Belgian was an Italian, Father Gabriel. During his long stay here, he saw both prosperity and depression, both of which he faced calmly. He clung to his old-world heritage; it never occurred to him to have an automobile. He walked, and often chatted with those he met, whether parishioners or not. He may have told humorously that the name Chauvin means "hot wine", or may have been reminded of some funny incident which he enjoyed as much as his listener. Although Pere Chauvin was conservative, he did move the Parish ahead. He greatly improved the interior of the church, and incredible as it may seem, he was the first to introduce heat into the church. He installed a large coal burning heater, and as might be expected, on cold Sunday mornings, it was Pere Chauvin who arose early to build the fire. And for fear the fire might spread to the building, he continued his rest on a nearby pew until it was time to ring the first bell. The Rt. Rev. Richard Oliver Gerow (1885-1976) was consecrated Bishop of Natchez at Mobile on October 11, 1924,(The Jackson County Times, October 15, 1924, p. 4. It was through his efforts that the Marianite Sisters returned here in 1928 to re-open the parochial school in the three room house on Jackson Avenue and they have remained ever since. But with the onset of the great depression, money and jobs became scarce. Although not of record, there is reason to believe that the sisters and Pere Chauvin, all made personal sacrifices to keep the school going through the hard times. The Reverend Joseph Holland may have returned to St. Alphonsus after the demise of Father O’Sullivan. 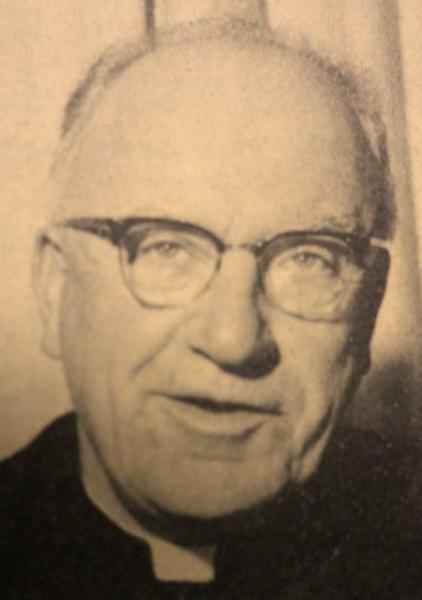 Father Francis Deignan (1901-1965) was appointed pastor in May of 1944 and remained for more than twenty years, which was a time of post war prosperity and population expansion. With modern methods of financing and greater cooperation by the laity, it was possible to rebuild the school, church and rectory. To make way for a modern school building in 1949, the old three-room house was moved back to serve as a parish hall. Then to make space for a four-room school annex in 1963, it was moved again, less one room, east to Washington A venue, where it served as the St. Alphonsus Kindergarten until it was demolished in August 2004 because of its age and deterioration. Many parishioners fondly remember this old building as their "little red school house", where they started out on the rocky road of life. With the satisfaction of having contributed much to the modernization of St. Alphonsus Parish, Father Francis Deignan passed to his reward on February 20, 1965. His corporal remains were interred in Evergreen Cemetery on Old Fort Bayou. 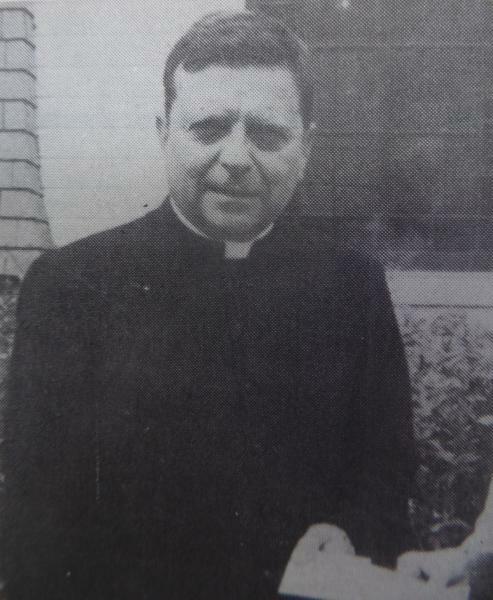 In August of 1960 Father E.E. Michelin was named the first assistant pastor. To make way for the present church and rectory, the old church was moved northeasterly in 1961 to serve another ten years as the parish hall. Finally after 97 years of continuous service, it was demolished to make way for the new parish hall in 1972. Knights of Columbus Council 5654 was established here in January of 1965 and was named in memory of Fred. 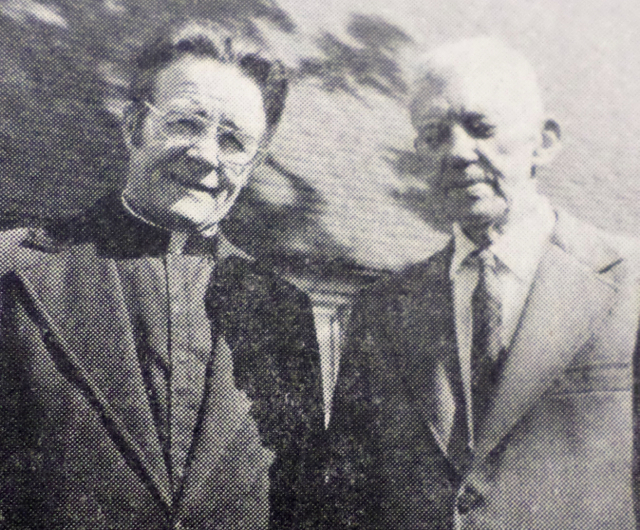 L. Westbrook, Sr.
Reverend G. O’Neil killed by tempest in August 1969. In 1965, St. Alphonsus became the largest Roman Catholic parish in the State of Mississippi. The old Convent of St. Theresa on the beach at Jackson Avenue was destroyed by Hurricane Camille on August 17, 1969. In the following year, a new convent was built on Jackson Avenue, just north of the school. In 1972 the new parish hall-cafeteria and school library were built. In 1980 Msgr. James J. Hannon (1920-2008) became pastor of St. Alphonsus. 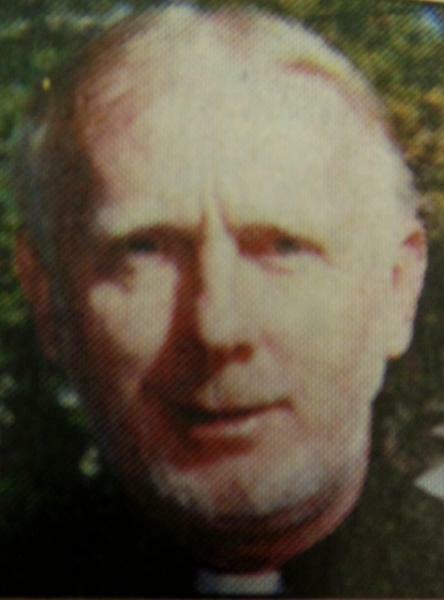 He was succeeded by Father Bernard Farrell in 1989. Pope Pius XII named Father Hannon as a Papal Chamberlain in 1954. He was named Domestic Prelate with the title of Right Reverend Monsignor in August 1957. Monsignor had many assignments throughout Mississippi and was very much an active participant in communities along the Coast. 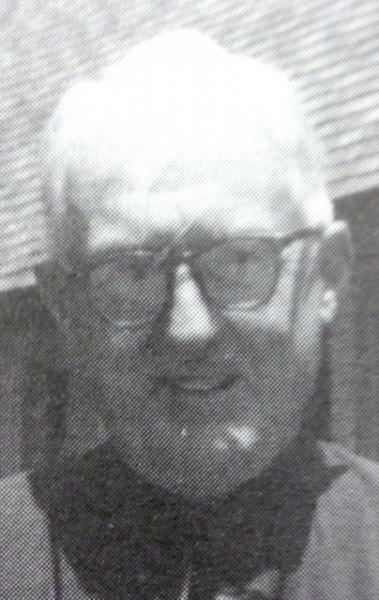 He retired from his last Parish, St. Alphonsus in Ocean Springs in 1989. Msgr. Hannon continued to work throughout his retirement in spite of an injury and other health problems. He devoted much time to the Marriage Tribunal of the Diocese of Biloxi, celebrating daily Masses at the Villa Maria Retirement Home in Ocean Springs, assisting with Masses at St. Thomas in Long Beach, chaplain of the Knights of Columbus Council 5654, and serving as president and founding member of the St. Vincent de Paul Pharmacy and continued on its Board of Directors. His love for woodcraft benefited many churches and individuals. He built the St. James Chapel at St. Alphonsus as well as the altar, Tabernacle and chairs and choir benches for the main altar. He began Perpetual Adoration at St. Alphonsus. The Lord is My Help soup kitchen was the recipient of his administrative skill as well as his expertise in cabinetry. Habitat for Humanity also benefited from the talents and skill of Msgr. Hannon's woodworking. He was well known for distributing all the toys he made to needy children at Christmas. He was recognized for his charitable and loving gifts to the community with numerous rewards including Outstanding Mississippi Knight of Columbus, WLOX Person of the Week, and in 2005 he was honored with the Mississippi Ageless Heroes Award. He has been featured in local and national publications. When he was no longer able to work in his shop, he taught several people his woodworking skills and continued to counsel and comfort anyone who needed help. On his 88th birthday this year, he was awarded the Key to the City of Ocean Springs by Mayor Connie Moran. In 1981 the school received AA Accreditation and Members in the Southern Association of Schools and Colleges. In 1983 the school celebrated its 100th anniversary. The following year, two new classrooms were added to accommodate increased enrollment which now stands at 290, with Sr. Mary Anne Peltier as principal. During this same period, a weekday chapel was added at the rear of the main church where parishioners come to pray at all hours of the day and night. Father Bernard ‘Bernie’ Farrell departed St. Alphonsus in February 2002 for St. Elizabeth Seton at Ocean Spring, Mississippi. Water from the storm’s surge reached the threshold of the sanctuary. The gymnasium received feet of water and the rectory feet. 100 Years St. Alphonsus School Ocean Springs, Mississippi 1883-1983. The History of Jackson County, Mississippi, "St. Alphonsus Parish 1699-1972", (Jackson County, Mississippi Geneaological Society: Pascagoula, Mississippi-1989), pp. 60-61. The Jackson County Times, “Local and Personal”, October 15, 1924. The Jackson County Times, “Father Lee Fahey delivers sermon at Blessing of Fleet”, August 24, 1940. The Sun Herald, “St. Alphonsus meets the needs of the masses”, July 31, 2010, p. A9. 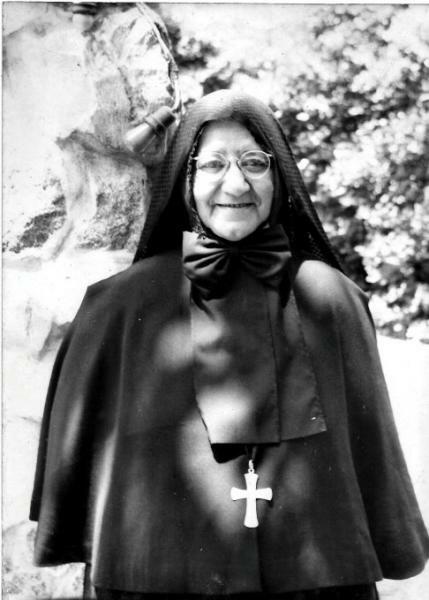 Sister Mary Leo Cavell (1914-1993) was a native of New Orleans. She began her novitiate with the Marianite Sisters of the Holy Cross in June 1933 and graduated from Loyola University [NOLA] in June 1940. Sister Mary Leo served the Church in Pakistan. She died on April 9, 1993. 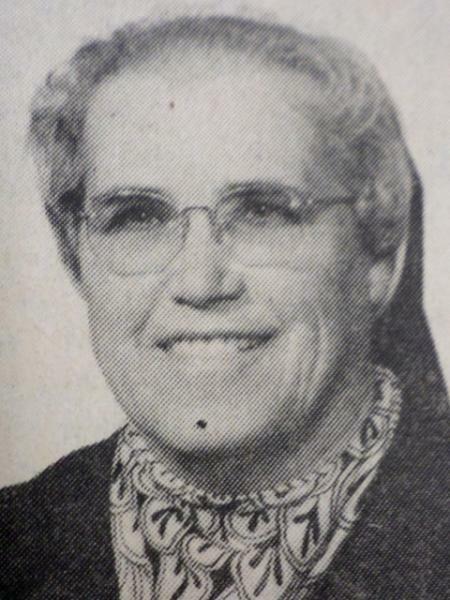 The Daily Herald,Section 2, “Running State’s largest Catholic parish simple task for Sister Leo”, March 9, 1970, p. 13. The Jackson County Times, “To Build Sisters Convent in Ocean Springs”, May 8, 1920, p. 1. The Ocean Springs News, "Local News”, February 6, 1909. 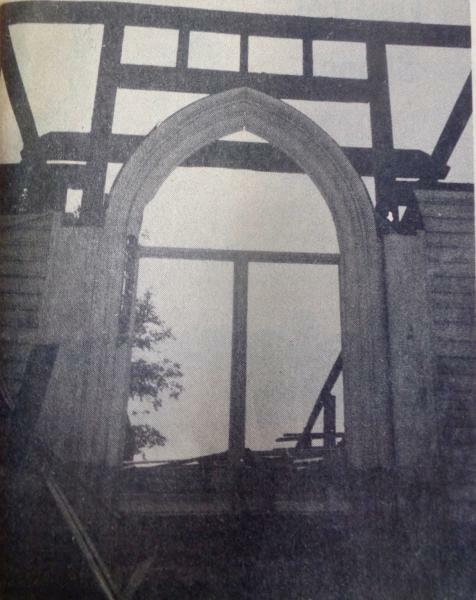 The Ocean Springs Record, "Ruins of Nun’s Apartment [photo]”, August 28, 1969, p. 1. 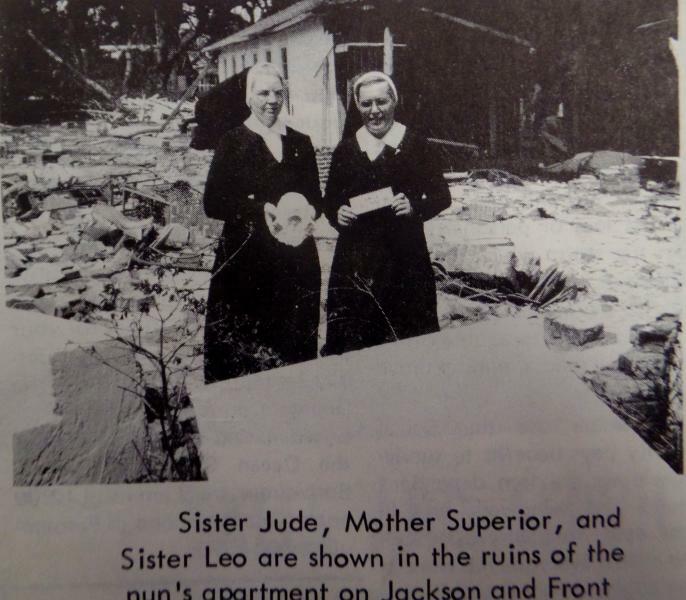 The Ocean Springs Record, "St. Alphonsus Sisters lose their home at Jackson and Front Beach [photo]”, September 4, 1969, p. 4. 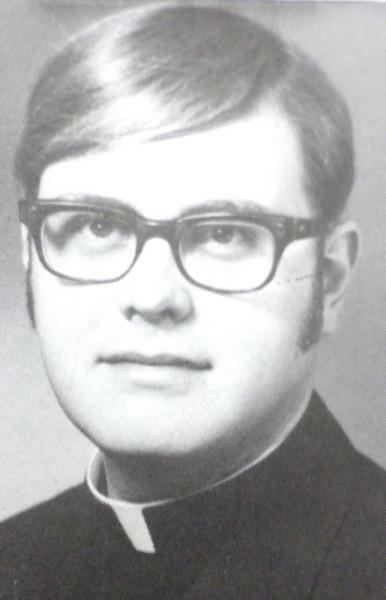 The Ocean Springs Record, "New associate pastor [Father Michael Raff] at St. Alphonsis”, October 9, 1969, p. 6. The Ocean Springs Record, "Convent house-warming scheduled Sunday”, October 22, 1970, p. 1. The Ocean Springs Record, "Convent blessed Sunday”, October 29, 1970. p. 10. The Ocean Springs Record, “A new camellia for Sister Mary Leo”, March 18, 1976, p. 6. The Jackson County Times, “A treasure in Ocean Springs-Lourdes Grotto”, March 4, 1939, p. 1. 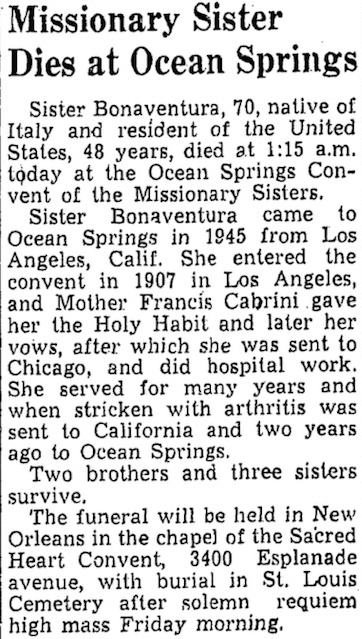 The Daily Herald, “Missionary Sister [Bonaventura] dies at Ocean Springs", October 2, 1947. The Daily Herald, “Peaceful beauty captured in Missionary Sisters’ Ocean Springs convent”, August 30, 1956. The Baltimore Sun, “A priest commits suicide”, June 26, 1890. The Biloxi Herald, “Ocean Springs Notes”, June 21, 1890. The Boston Journal, “”, October 9, 1878. The Cincinnati Daily Gazette, “”, September 18, 1879. The Interocean, “Suicide of priest”, June 26, 1890. The Times Picayune, “An interview with Bishop LeRay”, October 12, 1878. The Times Picayune, “Personal and General Notes”, September 12, 1888. The Times Picayune, “The suicide of Rev. Charles Bohmert”, June 28, 1890. The Pascagoula Democrat-Star, “Hostilities”, March 11, 1881. The Daily Herald, “Woman bather injured”, July 26, 1915. The Daily Herald, “Escapes drowning off Deer Island”, August 12, 1915. The Daily Herald, “New parochial school [Mother of Sorrows] dedicated”, September 7, 1916. The Daily Herald, “Lad run over by automobile”, December 6, 1916. The Daily Herald, “Two Coast priests are named Canons”, April 21, 1944. The Jackson County Times, "Local News Interest", August 30, 1919. The Ocean Springs News, "90 year old Reverend Canon J.H. Chauvin takes first air flight to meet brother for first time in fifty years", August 1, 1957, p. 1. The Ocean Springs News, "The late very Reverend Canon J.H. Chauvin", August 29, 1959, p. 11. 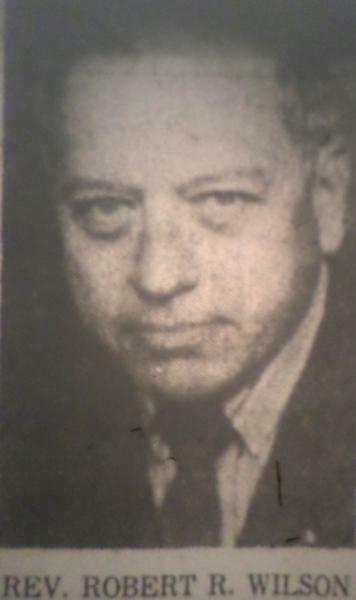 The Daily Herald, “Father P.J. Ahern dies in Ocean Springs”, September 26, 1933. The Gulf Coast Times, “Father Francis Deignan tells of trip to Europe”, September 1, 1950. The Ocean Springs News, “Rev. Francis Deignan”, [photo], August 1, 1957. The Ocean Springs News, “Rites for Rev, Deignan”, February 25, 1965, p. 1. The Daily Herald, “Pastor of largest State parish ending ministry of 30 years”, March 8, 1970. The Ocean Springs News, "Mon. Gregory R. Kennedy welcomed to St. Alphonsus”, April 22, 1965, p. 1. The Ocean Springs Record, "Msgr. Kennedy retires”, March 19, 1970, p. 3. The Ocean Springs Record, "Elizabeth Kennedy”, November 6, 1975, p. 2. The Ocean Springs Record, "Mgr. Kennedy rites”, December 4, 1986. 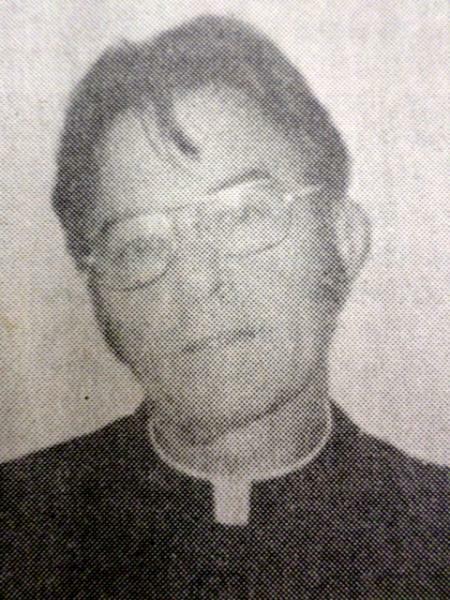 The Sun Herald, "Monsignor Eamon Joseph Mullen", March 22, 1992, p. A2. The Ocean Springs Record, “St. Alphonsus Priests”,October 9, 1969, p. 6. The Ocean Springs Record,“Hannon’s 50-year tenure celebrated”, June 29, 1995, p. 1. The Sun Herald, “Monsignor Hannon died Sunday at 88”, March 18, 2008, p. A2. The Sun Herald, “Monsignor James Joseph Hannon”, March 18, 2008, p. A4. The Sun Herald, “St. Vincent de Paul pharmacy rededicated”, April 23, 2008, p. A2. The Ocean Springs Record, “Rev. Farrell to celebrate 25 years in priesthood”, December 26, 1991, p. 1. The Ocean Springs Record, “Accent the same, but face different”, March 14, 2002. The Ocean Springs Record, “Priest celebrates 25th”, February 9, 2002. The Catholic Church in Mississippi (1837-1865), Catholic Action of the South, “St. Alphonsus-Ocean Springs”, ? The Daily Herald, “Bishops will officiate at dedication of St. Alphonsus Church in Ocean Springs”, September 22, 1961, p. 6. The Ocean Springs News, “St. Alphonsus Parish raises $86,000”, September 27, 1956, p. 1. 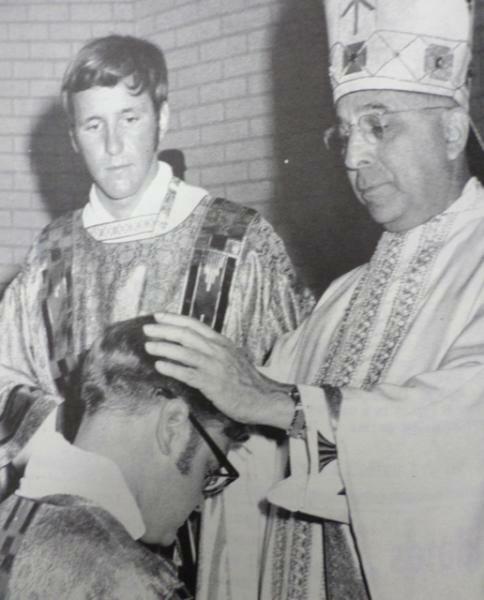 The Ocean Springs Record, "Michael Irwin ordained [photo] ”, May 21, 1970, p. 11. 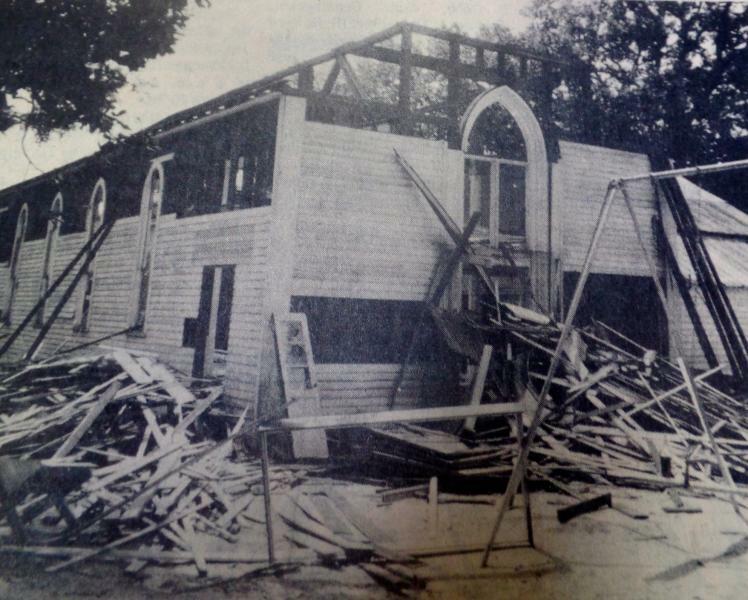 The Ocean Springs Record, "St. Alphonsus parish hall demolition [photo] ”, July 1, 1971, p. 1. The Daily Herald, "Complete new Ocean Springs Grade School", September 3, 1949, p. 10. The Gulf Coast Times, “To the People of Ocean Springs”, May 27, 1949, p. 9. The Gulf Coast Times, “St. Alphnsus School Fair”, May 27, 1949, p. 9. The Jackson County Times, "Catholic School Here Next September", July 29, 1915, p. 1. The Jackson County Times, “More progress-Alphonsus school bids are awarded”, December 31, 1947, p. 1. The Jackson County Times, "Bids on New School are requested", November 24, 1948, p. 1. The Ocean Springs Record, "History of St. Alphonsus School", October 13, 1983, p. 7. The Ocean Springs Record, "St. Alphonsus School celebrates 100", October 20, 1983, p. . The Ocean Springs Record, "St. Alphonsus to celebrate 125th anniversary April 5", March 27, 2008, p. A1. The Ocean Springs Record, "Nuns say farewell", May 24, 1990, p. 1. The Pascagoula Democrat-Star, "Ocean Springs Locals", July 15, 1898, p. 3. The Sun Herald, “Church celebrates past, future”, JXCO Section, January 31, 1998, p. 3. Peter J. Ahern (1869-1933) was born December 15, 1869 at Wakefield, Middlesex County, Massachusetts, the son of Irish immigrants, John Ahern (1835-1880+) and Catherine Ahern (1845-1880+). He was the first of his family born in America. He had five older siblings who arrived in the world in Eire between 1861 and 1867. Expired on September 25, 1933. Buried Evergreen. Joseph H. Chauvin (1867-1959) was born St. Cesaire, Quebec, Canada. Studied for the priesthood in Canada. Ordained March 11, 1900 at St. Hyacinthe. Named ‘Canon’ in April 1944 after his retirement. Returned to Canada and expired there in August 1959. Gerald Cleary (b. 1934) was born at Dublin, Ireland and ordained at the Cathedral at Carlow, Ireland on June 10, 1961. Came to the Diocese of Natchez-Jackson in September 1961 and was assistant pastor at Our Lady of the Gulf at Bay St. Louis. Father Cleary celebrated fifty years in the priesthood on June 9, 2011 at St. John the Evangelist Church where he was parish priest. Francis Deignan (1901-1965)born Offlay County, Ireland. Ordained June 20, 1926. Saint Alphonsus 1944-1965. Buried Evergreen. Gregory Regis Kennedy (1909-1986) born November 7, 1909 and expired December 1, 1986 at Daytona Beach, Florida. Buried Evergreen. Dennis O’ Sullivan (1877-1942) was ordained on December 22, 1900 at Cairo, Egypt and arrived in Mississippi in October 1915. Before his retirement to Bay St. Louis, Father O’Sullivan had been parish priest at St. Paul’s in Vicksburg; Bassfield; and North Biloxi. He died on April 2, 1942 at St. Alphonsus after leaving the confessional. Charles Louis Van Quekelberge (1835-1878) was born Belgium. Buried Evergreen. 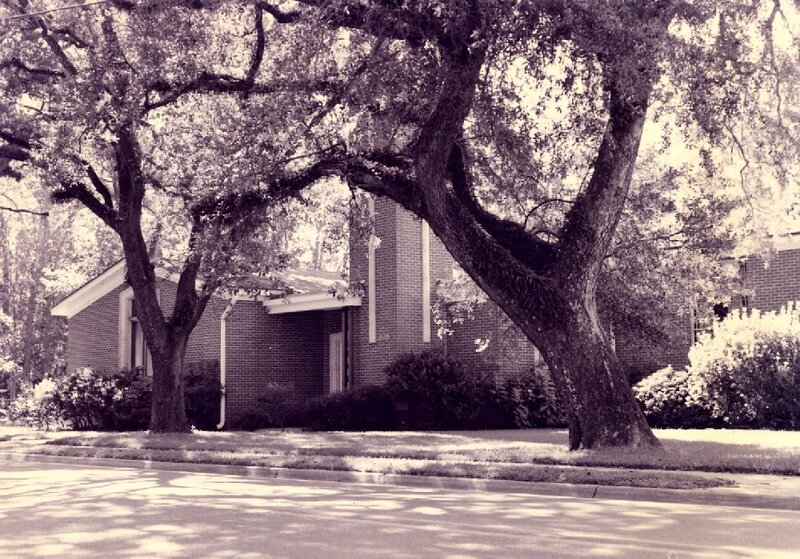 Ocean Springs got a new Catholic parish in September 1975, when the St. Elizabeth Seton Parish was organized for the people in the eastern section of the city. 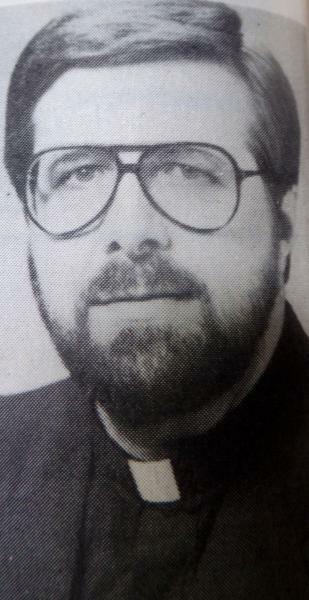 The Reverend Noel Fannon, a native of Ireland, was the first pastor and remained with the parish through the building of the new church in 1988. 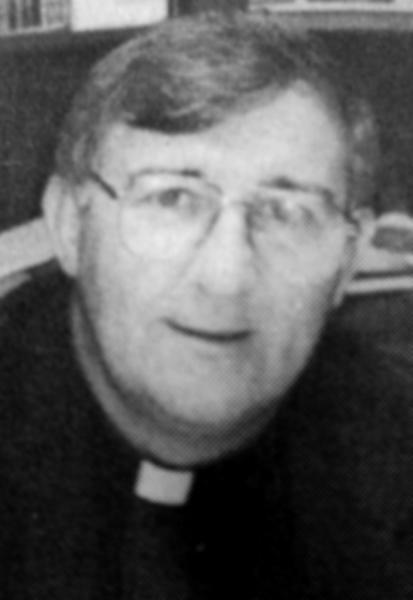 The Reverend George Kitchin became the second pastor of St. Elizabeth Seton in February 1988, and remained here until he was replaced by Father Bernie Farrell in February 2002. The History of Jackson County, Mississippi, "St. Elizabeth Seton Church", (Jackson County, Mississippi Geneaological Society: Pascagoula, Mississippi-1989), pp. 61-62. The Daily Herald, "St. Elizabeth Seton dedication set for December 3rd", October 25, 1978. The First Baptist Church of Ocean Springs was organized in 1832, by Elder George Davis. It was called the Tidewater Baptist Church and was located on Davis Bayou. Because of the transitory nature of the settlers, the church disbanded circa 1840. In 1847, the Baptists in the area were strongly reunited by Elder Philip P. Bowen. In 1874, the Tidewater Baptist Church became known as the Ocean Springs Baptist Church and moved in 1876, to a small rental house near the L&N depot. 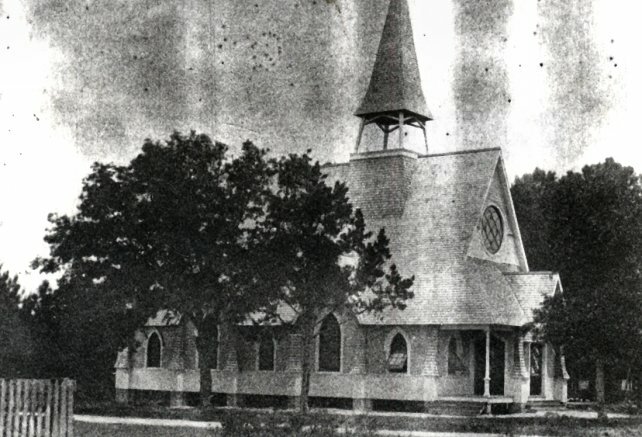 In 1878, a sanctuary was built on the northwest corner of Desoto and Church Street. The Baptists of the community worshiped here until the structure was severely damaged in the Hurricane of September 1906. In the spring of 1909, Burr & Bradford erected a new sanctuary on land donated by George W. Davis (1842-1914), a descendant of the Davis family of the Tidewater Baptist Church on Davis Bayou. The building was situated on the northwest corner of Porter and Bellande. The church called its first full-time pastor, the Reverend John E. Barnes, in 1932. Sanborn insurance maps indicate that the Porter Avenue edifice was remodeled and enlarged before 1935. A post-1935 renovation occurred resulting in the present structure, which is used for storage. In 1958, the heirs of E.W. Illing (1980-1947) sold their property on the northeast corner of Washington Avenue and Porter to the First Baptist Church of Ocean Springs. This conveyance terminated the long history of the cinema entrepreneurship of the Illing family at this location. The Baptist under the leadership of the Reverend Paul D. Aultman erected a new sanctuary here. It was built to accommodate approximately twelve hundred persons and was dedicated on May 11, 1969. Dr. James G. Haggard Sr.
A graveside service for Dr. James G. Haggard Sr. (1921-2007), age 85 years, will be held at 10:00 a.m. Thursday, May 3, 2007, for family and friends at Crestlawn Memorial Park in Conway, Arkansas, with Bro. Stanley Young, pastor of Emmanuel Baptist Church, leading. This will be followed by a Praise and Worship Celebration at Conway's First Baptist Church at 11:00 a.m.
Dr. James G. Haggard Sr. was born on September 15, 1921 to James and Elnora Haggard in Louisville, Mississippi, Dr. Haggard was a WWII Navy veteran. He was a graduate of Mississippi College in Clinton, MS with a BA and of Southwestern Baptist Theological Seminary in Ft. Worth, Texas with a Master of Theology and Doctorate of Education. He served as Dean of Students at Ouachita Baptist University in Arkadelphia, Arkansas from 1968 - 1970 and taught Sociology at the University of Central Arkansas 1970 -1983. He was an ordained Southern Baptist minister who served at First Baptist Church, Phillip, Mississipppi; First Baptist Church, Dardanelle, Arkansas; First Baptist Church, Ocean Springs, Mississippi; Holland Baptist Church, Holland, Arkansas Emmanuel Baptist Church, Conway, Arkansas; Crystal Ridge Baptist Church, Louisville, Mississippi; and Second Baptist Church, Perryville, Arkansas. He served several churches as Interim Pastor. Dr. Haggard died Sunday, April 29, 2007 at Baptist Health Medical Center in Little Rock, Arkansas. He is survived by his wife of sixty years, Sarah Haggard; son, John Haggard and wife Leta of Sherwood, Arkansas; daughters, Jenny Lind Allen and husband John Charles of Crossett, Arkansas; Nan Keathley and husband Ron of Conway, Arkansas; and Cynthia Haggard, of Harrison, Arkansas. His grandchildren are Rachel Haggard of Harrison, Arkansas; Shane and Teilena Keathley of Greenbrier, Arkansas; Matthew and Kathryn Allen of Bentonville, Arkansas; Erron and Beth Haggard of Corvallis, Oregon; Amanda and Jaret Gaither of Bristol, Tennessee; Melissa and David Clayton of Crossett, Arkansas; and Sam Haggard of Sherwood, Arkansas. He was blessed to have 5 great-grandchildren, Michael and JoAnn Clayton, Mariah and Colby Keathley, Daniel Allen and many loving nieces, nephews, and precious friends. In lieu of flowers, Bro. Haggard requested that all memorials be made to the building fund of Emmanuel Baptist Church, 2 Daughtery Hill Rd., Conway, Arkansas 72032. Roller-McNutt Funeral Home of Conway, Arkansas, was in charge of arrangements. The Methodist Church at Ocean Springs was organized in 1853, by the Reverend James Sampey. It wasn't until 1870 that a church building was erected on the north side of Porter near Washington. Elizabeth M. Stuart (1840-1925) who was a strong financial supporter of the Methodists' efforts here became the first registered member when the new building was dedicated in 1872. In April 1900, the Methodist Church was torn down and the materials sold to druggist, Herman Nill (1863-1904). The salvaged lumber was used by the Vahle family to erect a hotel, the Vahle House, on the northwest corner of Washington and Calhoun. In 1901, a new sanctuary was constructed on the southeast corner of Porter and Rayburn on a lot donated by Bishop Kenner. After the death of Mrs. Stuart in January 1925, a relative, W.C. Howcott of New Orleans, donated money for a memorial to the Stuarts and Bishop Keener. Three large stained glass windows and a group of Sunday school and social rooms were added to the church in their honor. 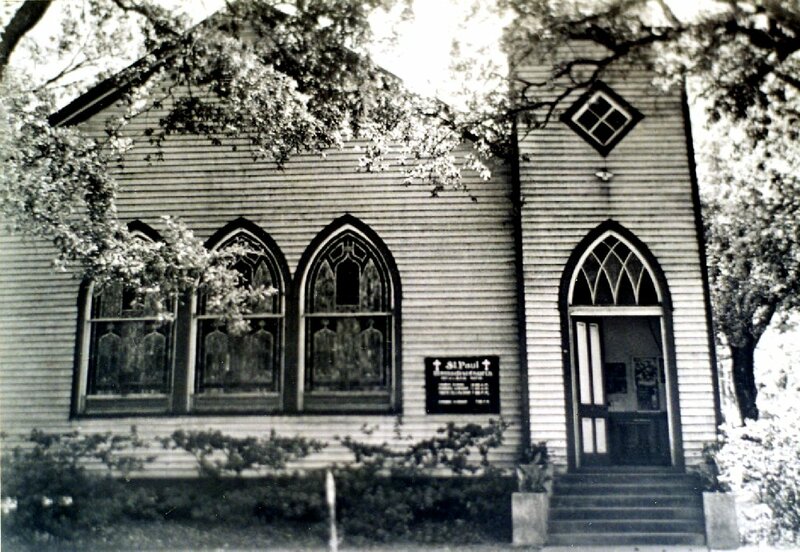 By 1950, the Ocean Springs church had become a station church. The Reverend William L. Elkin was the first full time pastor. The next decade saw a growing church population and the need for a larger sanctuary. 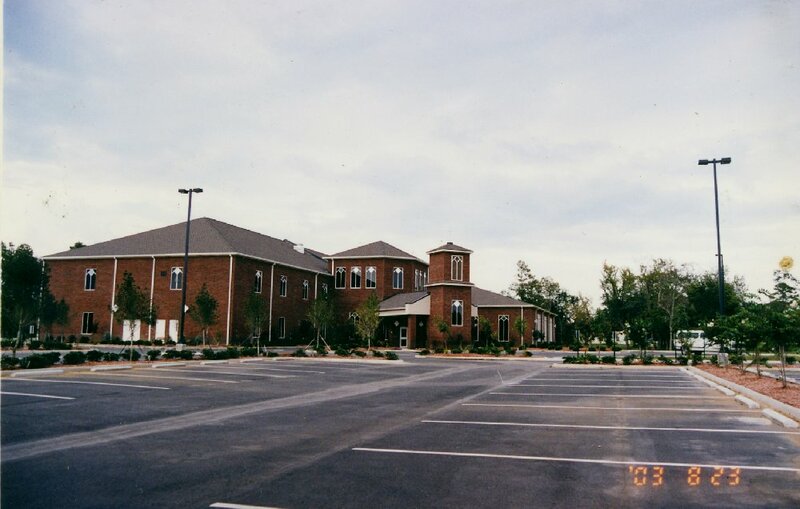 In 1962, the congregation moved into a new brick structure at the same location as the 1901 structure. The Stuart memorial windows were integrated into the new church. It wasn't until after the Louisiana Purchase (1803) that Protestant Americans began to migrate into the southwest frontier, which in the early 19th Century comprised primarily the former colonies of strongly Catholic, France and Spain. After over a century of colonialism, the Roman Catholic Church was strongly rooted in this area, and the frustrations of Preacher Galloway in expanding the Methodist faith on the Mississippi coast, westward of Ocean Springs, are quite understandable. In November 1891, entrepreneur, Albert Baldwin (1840-1911) of New Orleans, donated Lot, No. 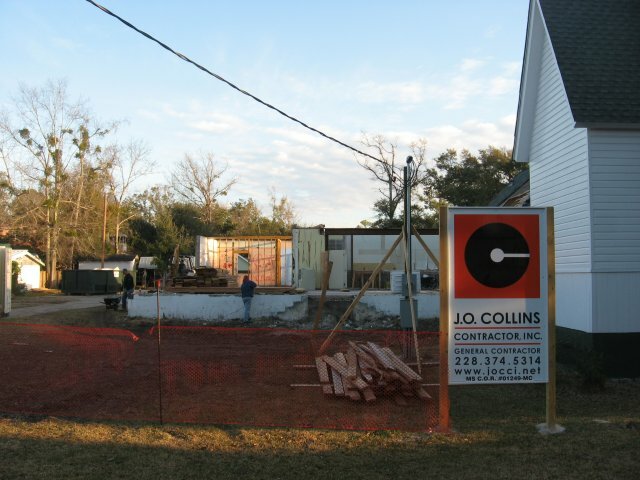 14 in Block 1-Stuart Tract, on the northeast corner of Porter and Pecan Street (present day Ward Avenue) to be used as the site for the parsonage of the minister of the Ocean Springs Methodist Episcopal Church. The lot and improvements were sold to B.F. Beevers by the Church, in March 1902, for $550. (JXCO, Ms. Land Deed Bk. 13, pp. 134-135 and Bk. 24, pp. 394-395). William R. Stuart (1820-1894) and Lizzie McCauley Stuart (1840-1925) supported the First Methodist Church at Ocean Springs, which was located on the north side of Porter near Washington Avenue and built in 1872. In the spring of 1891, a writer for The New Orleans Christian Advocate visited Ocean Springs and gave a glowing report of the Methodist Church at this time: The writer enjoyed a trip to Ocean Springs, on Saturday last, where he was elegantly entertained at the typical Methodist Southern home of Col. And Mrs. W.R. Stuart, both well known for their warm-heartedness and Christian hospitality. Sister Stuart, who was for over twenty-seven years bedridden, has for the past six years slowly recovering, so that she is able, accompanied by her faithful nurse, to walk about the house and grounds. Her patient, gentle submission to God’s will through all these years of trial have preached sermons to many. God be praised for his loving kindness to our church for giving us such Methodists as Brother and Sister Stuart! The congregation at the M.E. Church, South, Sunday morning, while not large, was very attentive, which was also true of the Sunday-school, superintended by Brother Shannon, a faithful local preacher. The song service, conducted by Brother Wm. R. Stuart, was charming. Mrs. Webb presided at the organ; a lady friend adding much to the music by playing the violin. The corporal remains of Colonel W.R. Stuart, Elizabeth McCauley Stuart, and their faithful servant, Tempy Burton (1821-1925), are interred in the Evergreen Cemetery on Old Fort Bayou at Ocean Springs. 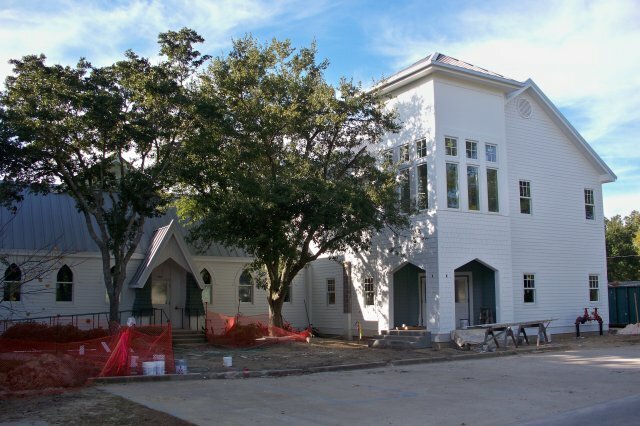 The second Methodist Church building to be constructed at Ocean Springs was erected in late 1899. The future building site was purchased from Jerry O' Keefe (1859-1911) by Bishop J.C. Keener on October 15, 1897, for $1100. The Keener lot, described as parts of Lot 1 and Lot 2 in Block 31 (Culmseig Map), was located on the southeast corner of Porter and Rayburn. The dimensions were 136 feet on the south side of Porter by 264 feet on the east side of Rayburn. ( Jackson County, Ms. Land Deed Book 18, pp. 411-412). With these and other satisfactory accumulations of pecuniary gifts, The Pascagoula Democrat-Star announced on August 11, 1899, "the lumber is on the ground for the Methodist church building". The Methodist Episcopal Church building was dedicated on Sunday, September 16, 1900, by Bishop Keener and Reverend W.H. Lewis. The Pascagoula Democrat-Star on September 28, 1900, reporting on the memorable event said that: The building is located in one of the most desirable lots in Ocean Springs, which lot with adjoining patronage is a twentieth century offering of Bishop Keener and wife to the Methodist church.... The auditorium is large and possesses fine acoustic properties. The dedicatory services were peculiar in that there were no debts to be removed, hence no special collection was taken; a singular fact on such occasions. The membership of the church to show their appreciation for the years of friendship and helpfulness shown to them by Bishop Keener, have named their new place of worship KEENER CHAPEL. The Reverend J.G. Galloway was assigned to Ocean springs in January 1906. Ray L. Bellande, Ocean Springs Hotels and Tourist Homes, (Bellande: Ocean Springs, Mississippi-1994), pp. 108-111. Charles L. Dufour, Ten Flag in the Wind: The Story of Louisiana, (Harper & Row: New York-1967), pp. 14-22. Richebourg Gaillard McWilliams, Iberville's Gulf Journals, (The University of Alabama Press: University, Alabama-1981), p. 93. Elizabeth Lemon Roberts and Ray L. Bellande, Ocean Springs-The Way We Were (1900-1950), (The Ocean Springs Rotary Club: Ocean Springs, Mississippi-1996), p. 93. Jackson County, Miss. Chancery Court Cause No. 4500, "The Last Will and Testament of Elizabeth McCauley Stuart", July 1925. The Biloxi Daily Herald, "Dr. Walker's Funeral", March 6, 1897, p. 4. The Daily Herald, "Rev. Van Hook Dies After Short Illness at Biloxi", January 28, 1947, p. 1 and p. 3. The Daily Herald, "Families had to comply with strict camp rules", October 3, 1976, p. B-11 and p. B-13. The Gulf Coast Times, “WSCS Celebrated 10th Anniversary Tuesday Afternoon”, October 20,1950. The Jackson County Times, “Local and Personal”, January 2, 1926. The Jackson County Times, “St. Paul’s New Name of Local Church”, June 16, 1934. The Jackson County Times, "Local and Personal", August 19, 1939. The Mississippi Methodist Advocate, "Cornerstone Laid For St. Paul's Church", June ? 1962. 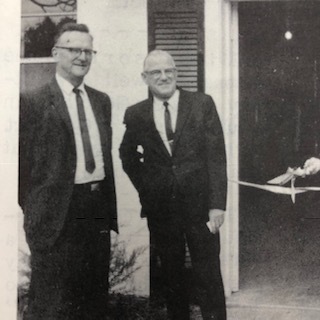 The Mississippi Methodist Advocate, "Official Opening St. Paul Church, Ocean Springs", December 19, 1962. The Mississippi Press, “Church breaks ground on expanded facility”, November 12, 2001. The Mississippi Press, “Holy Ground”, June 16, 2003, p. 1-A. The New Orleans Christian Advocate, March 28, 1872. The New Orleans Christian Advocate, March 4, 1875. The New Orleans Christian Advocate, August 14, 1879. The New Orleans Christian Advocate, February 28, 1889, p. 1. The New Orleans Christian Advocate, October 31, 1889. The New Orleans Christian Advocate, "Resolution of Thanks", April 6, 1899. The New Orleans Christian Advocate, "Generous Gift To Church At Ocean Springs, Miss.”, November 19, 1925, p. 9. The New Orleans Daily Picayune, "Rev. Dr. J.B. Walker Called Higher ", February 27, 1897. The Ocean Springs News, “Foundation Laid At St. Paul’s”, March 22, 1962, p. 1. The Ocean Springs News, “Cornerstone Laid At St. Paul’s, May 31, 1962, p. 1. The Ocean Springs News, “New Methodist Church”, September 27, 1962. The Ocean Springs News, “St. Paul’s Methodist Church Officially Opened”, January 17, 1963. The Ocean Springs Record, "Sous Les Chenes", January 2, 1997, p. 14. The Ocean Springs Record, "St. Paul rises in the east", May 15, 2003, p. A1. The Ocean Springs Record, “Fellowship St. Paul to share facilities”, July 17, 2003, p. A1. The Pascagoula Democrat-Star, “Ocean Springs Items”, May 24, 1878. The Pascagoula Democrat-Star, “Ocean Springs Items”, June 21, 1878. The Pascagoula Democrat-Star, “Ocean Springs Items”, July 26, 1878. The Pascagoula Democrat-Star, “Ocean Springs Items”, January 16, 1880. The Pascagoula Democrat-Star, “Ocean Springs Items”, July 9, 1880. The Pascagoula Democrat-Star, “Ocean Springs Items”, March 11, 1881. The Pascagoula Democrat-Star, "Ocean Springs Locals", April 7, 1899. The Pascagoula Democrat-Star, "Ocean Springs Locals", July 28, 1899. The Pascagoula Democrat-Star, "Ocean Springs Locals", September 28, 1900. The Pascagoula Democrat-Star, "Ocean Springs Locals", January 5, 1900. The Pascagoula Democrat-Star, "Ocean Springs Locals", January 12, 1900. The Pascagoula Democrat-Star, "Ocean Springs Locals", My 25, 1900. The Pascagoula Democrat-Star, "Ocean Springs Locals", September 7, 1900. The Sun Herald, "St. Paul UMC strives to be a church home", August 21, 2010, p. A9. Sanborn Map Company (NY), "Ocean Springs, Ms.", Sheet 2, August 1893. Charlene Cole, July 1, 1997. In July 1886, an organizational meeting was held with eight Ocean Springs families in the Washington Avenue home of Louisa Burling Bartlett (1823-1889), a New Orleans lady. Her husband, William A. Bartlett (1816-1882), a Connecticut native owned the Home Insurance Company at New Orleans. Their son-in-law was George Washington Cable (1844-1925), who gained national notoriety as a writer of Creole life and social reform. Cable's wife, Louisa S. Bartlett, owned the Bartlett Cottage from 1876 until 1890. The local Presbyterians had been meeting on Sunday afternoons at the Baptist Church, and it was decided that they should have their own church building. As a result of the July 1886 organizational meeting, a sanctuary was erected on Ocean Avenue and dedicated in October 1886. The church lot was purchased from Mary Ann Wing in January 1887 for $1.00. In 1956, Mr. and Mrs. Gordon Walker donated a new belfry and steeple for the old sanctuary. Merlin Frederick Usner (1902-1995) was one of two Usner descendants that later lived in Ocean Springs. Elizabeth ‘Betty’ Usner Armand (1909-1999) was the other. Merlin was born at NOLA on September 2, 1902. He attended Maryville College, Maryville, Tennessee and the Princeton Theological Seminary. Merlin came to the First Presbyterian Church at Ocean Springs, Mississippi in September 1962 and was installed by a commission chaired by the Reverend Robert T. Colt of the First Presbyterian Church of Long Beach, Mississippi, the Reverend Victor Augsburger of Biloxi and the Reverend Arthur M. Schneider of Pascagoula, Mississippi. After 1930, Merlin F. Usner had married Ruby Elizabeth Getaz (1909-1986) of Maryville, Tennessee. They had Priscilla E. Usner (b. 1948), a daughter, who married Russell Lasseigne (b. 1945). 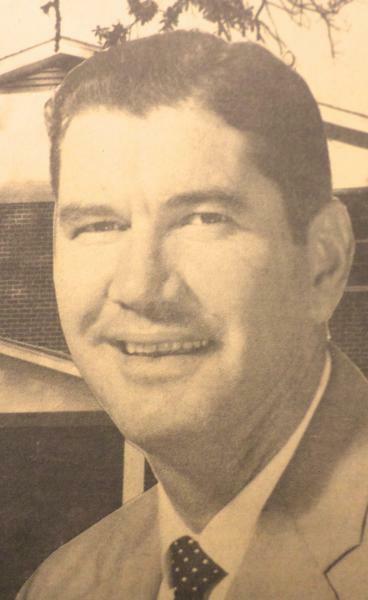 Reverend Usner retired from his ministry at Ocean Springs, Mississippi in 1972. Ruby G. Usner expired at Ocean Springs, Mississippi on November 28, 1986. Merlin F. Usner relocated to Katy, Houston County, Texas and died there on August 20, 1995. The Daily Herald, "Rev. James Mulholland installed as minister", October 14, 1948. The Daily Herald, "Purchase Manse', April 16, 1954. The Daily Herald, "Presbyterians select new church pastor [Robert R. Wilson]", November 6, 1971. The Pascagoula Democrat-Star, “Ocean Springs Locals”, May 1, 1896. The Ocean Springs Record, "Wells to become pastor of the Ocean Springs 1st Presbyterian”, November 9, 1989. 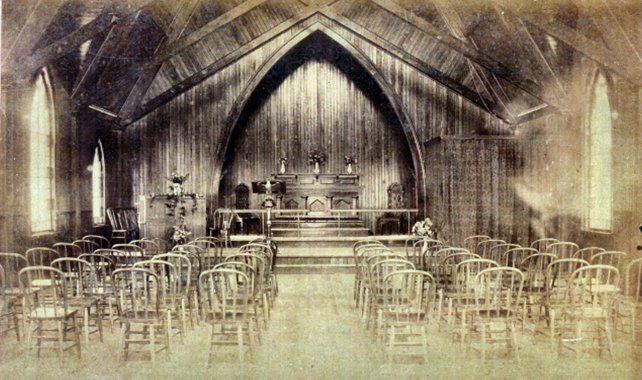 The early history of the Episcopal Church at Ocean Springs has been lost but it is known that in June 1865 an organization of Episcopalians was formed. The first records of the church indicate that the "Fortnightly Guild" met in June 1891, at the home of Dr. Tebo. It was decided at this gathering to accept the offer of the Baptist congregation to use their church building on DeSoto Avenue. The St. John's Episcopal Church was erected in 1892, from plans drawn by Reverend Nelson Ayers from illustrations in the "Churchman". The lot was donated by William B. Schmidt, a wealthy merchant from New Orleans. The building committee was composed of Mrs. G.T. Helmuth, Mrs. F.V. Garrard, Mrs. Stansbury, and Dr. Tebo. It is very likely that Louis H. Sullivan, the renown Chicago architect, assisted in the design of the church. In 1903, George and Adele Arndt gave the bell in memory of their young daughter, Elsie Arndt. The parish house was erected in 1948. St. John's was a mission church served by rectors of the congregations at Pascagoula or Biloxi. In 1955, the Episcopalians at Ocean Springs got a full-time priest, the Reverend Howard B. Kishpaugh. In 1996, the church building was renovated. It was rewired, repainted, and a new copper shingle roof installed. In 2009, a new parish hall was erected. It was dedicated in January 2010. In February 1891, when the Episcopalians of Ocean Springs announced their intentions to erect a sanctuary on the northwest corner of Porter and Rayburn Avenue, opposite to “Hollywood”, the new cottage of T.A.E. Holcomb (1831-1897), there were four church buildings in Ocean Springs, for White religious Christian services. Two Black sanctuaries existed at this time, the African Methodist Episcopal Church (now St. James Methodist Church) and the Macedonia Missionary Baptist Church. St. Alphonsus, the Roman Catholic Church, initially situated on Porter east of Washington, is now on the northeast corner of Jackson and Calhoun; the Baptist church which rested on the northwest corner of Desoto and Church Street, is now on the northeast corner of Washington and Porter; the early Methodist church was on Porter just west of Washington. Today it is still on Porter, but several blocks west on the southeast corner of Rayburn Avenue and Porter, diagonally across from the Protestant Episcopal sanctuary, as it was known at this time. Only the quaint Presbyterian structure on Ocean Avenue, like St. John’s Episcopal, is in near original condition and in situ. Rayburn Avenue was also depicted on a land plat of the Jerome Ryan Tract, which was surveyed by Enoch N. Ramsay (1832-1916) in February 1894. (JXCO, Ms. Surveyor’s Record Bk. 1, p. 22) It appears that the corrected warranty deed is also in need of correction! Regardless the triangular-shaped lot acquired by the Episcopalians from W.B. Schmidt was .41 acres in area. Hershey[Pennsylvania]is mourning a clergyman known for his roots in the community and his stand on church issues. 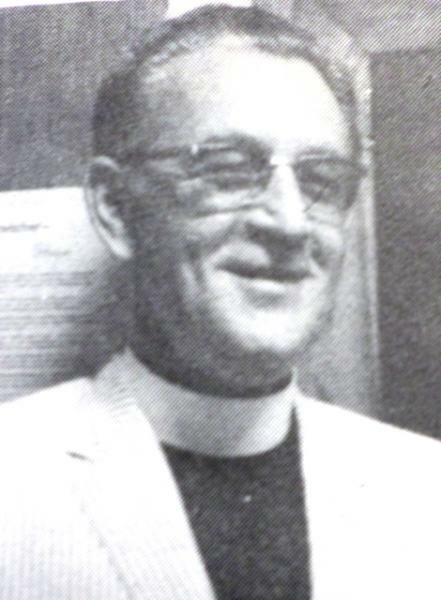 Hershey in July 1973 to serve as rector at his childhood parish, All Saints Episcopal Church. He retired in November 1988. "Father Kishpaugh was able to come back and be a pastor in his home parish, which is not an easy thing to do,"
said Monsignor Leo N. Bierster, senior pastor of St. Joan of Arc Roman Catholic Church, Hershey, and a friend for 23 years. deeply interested in everything that happened in the Hershey community." heating and air-conditioning business, served in the Marine Corps and was a bull rider on the rodeo circuit. East Africa, where he designed and built churches, hosiptals, and water and electrical systems. up the faith into a kind of pabulum that makes it digestible, palatable for everybody." Commission on Ministry as a dean of the Harrisburg Convocation. and a member and past president of the Wahiawa and Hershey ministeriums. in Whitehall, St. James Church in Lancaster and St. Luke's Church in Lebanon. of Lower Allen Twp. and Dorothy Baum of Los Angeles; a brother, William of Phoenix; and five grandchildren. Services will be held at 10 a.m. Jan. 20 in All Saints Church, Burial will be in Hershey Cemetery at the convenience of the family. Marie Setze and Shirley Mohler Grafaglione were the first women accepted into the vestry at St. John's. Thomas J. Lundy built his house on Rayburn in 1960s-1970s. On June 7th, Mike Dobrosky was ordained a Deacon. He was the first seminarian since the church was erected to have been ordained in this sanctuary. Mike attended the Seabury-Western Theological Seminary at Evanston, Illinois. (The Ocean Springs Record, June 5, 1985, p. 2. In 1995, the church sanctuary was renovated at a cost of about $125,000. It was rewired, repainted for $30,000, and a new copper, shingle roof installed to replace the asbestos shingles. Richard McPhearson, local engineer, was the general contractor and Bruce Tolar, local architect, was also involved. While the old paint was being removed with scrappers and a blow torch, the wood caught fire and the OSFD called to the scene. There was no damage to the structure. The $88,000 copper, shingle roof was installed by Jim Wallis Roofing of Biloxi, Mississippi. The new roof did not fair well during Hurricane Georges of October 1998 and was later replace with an architectural shingle roof. 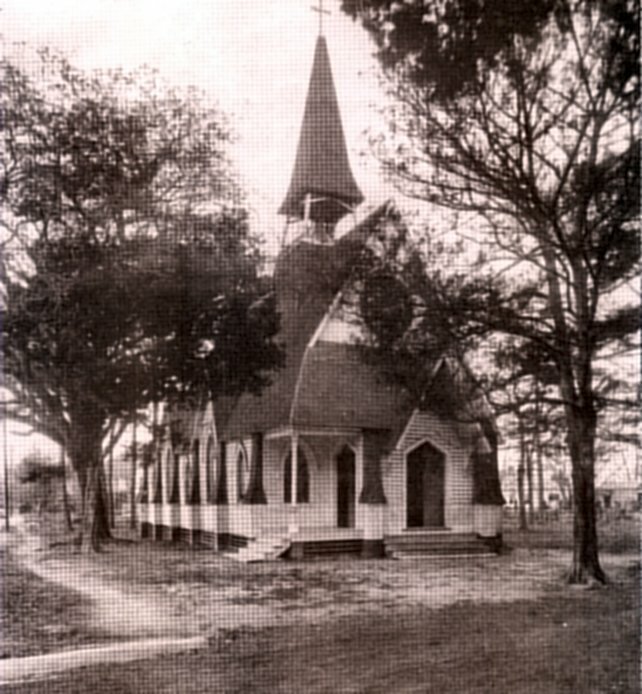 Caption: St. John’s Episcopal Church circa 1900. This turn of the 20th Century image was composed by Miss Winifred Alma Norwood (1870-1937), the daughter of Fred W. Norwood (1840-1920) and Elizabeth Winne (1839-1912). At this time, the Episcopal sanctuary was only about eight years old. Remarkably, the exterior and interior of this 19th Century Gothic structure, which will be one-hundred ten years old in March 2002, has remained virtually unchanged. Past and present parishioners of St. John’s should be lauded for their untiring efforts at preserving this historic landmark. Hopefully this legacy will continue. Betty Clark Rodgers, Miscellaneous Records of Jackson County, Mississippi, Volume I, (Jackson County Genealogical Society: Pascagoula, Mississippi-1990). The Biloxi Herald, “Ocean Springs”, February 16, 1891. The Biloxi Herald, “Ocean Springs”, June 20, 1891. The Biloxi Herald, “Ocean Springs”, July 11, 1891. The Biloxi Herald, “Ocean Springs”, November 21, 1891. The Biloxi Herald, “Ocean Springs”, December 5, 1891. The Biloxi Herald, “Ocean Springs”, December 19, 1891. The Biloxi Herald, “Ocean Springs”, December 26, 1891. The Biloxi Herald, “Ocean Springs”, January 9, 1892. The Biloxi Herald, “Ocean Springs”, January 23, 1892. The Biloxi Herald, “Opening a New Church”, April 30, 1892. The Biloxi Herald, “Coast Items”, December 12, 1896. The Biloxi Herald, “Father Ayres”, December 26, 1896. The Biloxi Herald, “John Morrison Ayres [obituary]”, March 22, 1897. The Churchman, “Personals”, April 10, 1886. The Daily Herald, “Honor Rev. DeMiller for 25 years of service to Biloxi church”, October 13, 1934. The Daily Herald, “Ocean Springs”, July 8, 1946. The Daily Picayune, “To Rent”, December 10, 1891. The Daily Picayune, “Death of a Christian woman [Mrs. Nelson Ayres]”, July 14, 1894. The Daily Picayune, “Catholic News”, May 10, 1898. The Daily Picayune, “A Bonfuca Church”, August 5, 1899. The Daily Picayune, “Hotel arrivals”, July 18, 1901. The Daily Picayune, “Personal Points”, June 13, 1903. The Daily Picayune, “Personal and General Notes”, February 5, 1904. The Daily Picayune, “St. Bartholomew in Kenner”, August 23, 1906. The Daily Picayune, “GAR head visits the men in Gray”, March 4, 1910. The Gulf Coast Times, “ , May 20, 1949. The Jackson County Times, “Parish House ceremony set”, May 7, 1948. The Jackson County Times, “New Parish House open”, May 14, 1948. The Ocean Springs News, “Lewis-Davis”, January 7, 1911. The Ocean Springs News, "Death of Mrs. Ada M. Switzer", November 21, 1914. The Ocean Springs News, “Episcopal Church Breaks Record”, February 25, 1915. The Ocean Springs News, “Rectory?”, March 9, 1916. 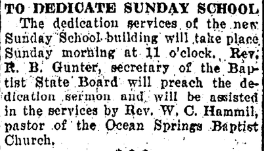 The Ocean Springs News, “Church group told of new building plans”, March 9, 1916. The Ocean Springs Record, “Rectory of St. John’s”, February 23, 1967, p. 1. The Ocean Springs Record, “Rector [Rev. Thomas J. Lundy] returns home”, November 8, 1956. 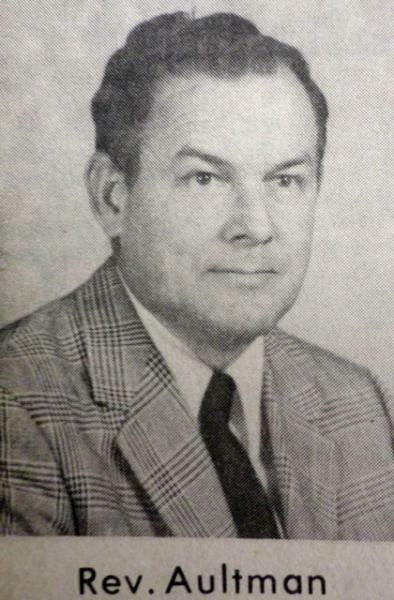 The Ocean Springs Record, “Reverend David E. Holt”, November 12, 1970, p. 1. The Ocean Springs Record, “Renabel Boney Holt”, July 14?? ?, 1970. The Ocean Springs Record, “St. John’s Has Long History”, December 3, 1970. The Ocean Springs Record, “St. John’s Episcopal Church”, February 24, 1994. The Pascagoula Democrat-Star, “Booming Ocean Springs”, January 30, 1891. The Pascagoula Democrat-Star, “Ocean Springs News”, March 18, 1892. The Pascagoula Democrat-Star, “Ocean Springs News”, April 1, 1892. The Pascagoula Democrat-Star, “Ocean Springs News”, May 3, 1892. The Pascagoula Democrat-Star, “Ocean Springs Locals”, October 15, 1897. The Pascagoula Democrat-Star, “Ocean Springs Locals”, April 21, 1899. The Progress, “Local News Items”, September 8, 1904. The Sun Herald, “Church’s new old look draws interest”, October 28, 2001. On August 6, 1967, the first services were held in the new church with the Reverend B.F. Rutrough in charge. The Ocea Springs News, "Lutheran purchase ground here", April 30, 1964.